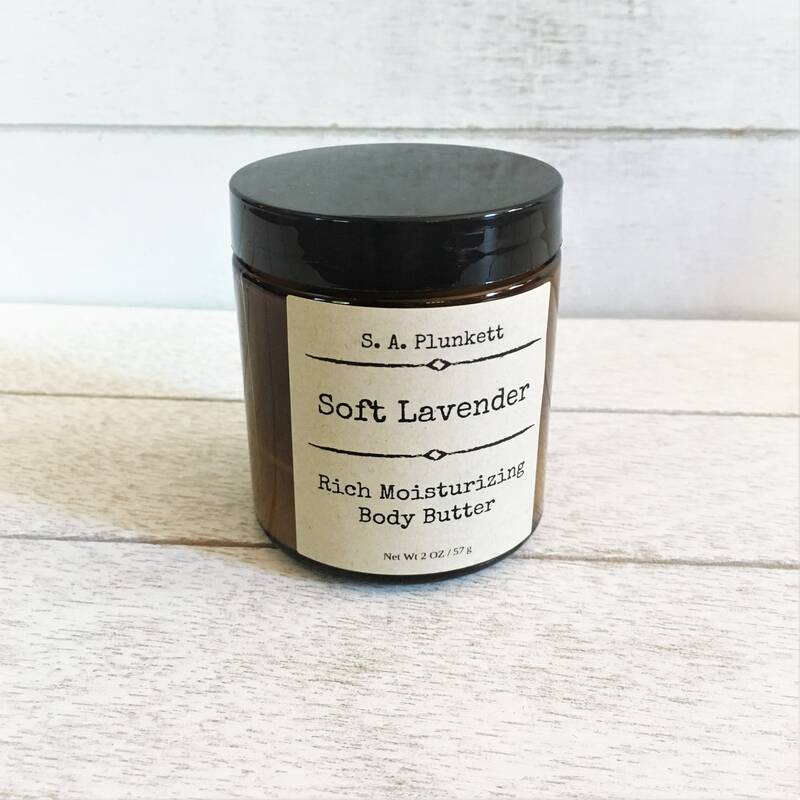 A luxurious blend of organic and natural, plant-based butters and oils with a touch of pure, organic lavender essential oil, whipped together to form a rich, nourishing, and gentle moisturizer. Vegan friendly and great for body, face, and even hair! 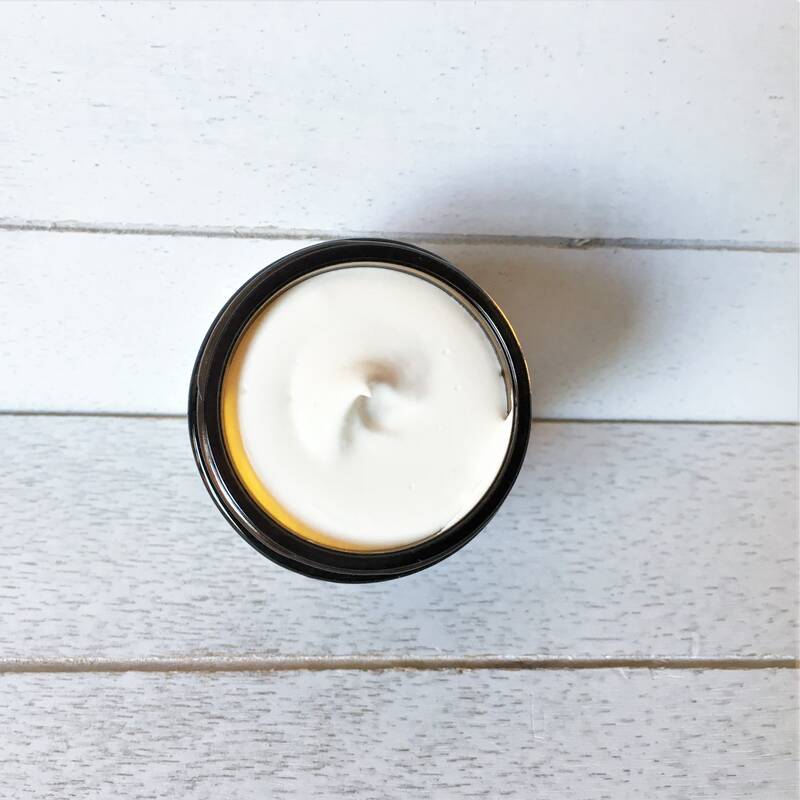 The best time to apply body butter is just after a bath or shower to lock in moisture and keep your skin hydrated all day, but it can be used any time. A little goes a long way! Apply a small amount to damp skin and rub in with firm strokes. Allow a few minutes for the oils to fully absorb. Because this product is all natural, without preservatives, care should be taken to avoid moisture, direct light, and heat. It will last longer stored in a relatively cool, dark location. Shelf life for properly stored whipped body butter should be approximately 1-2 years from date of purchase. This cream is able to be preservative-free because there are no ingredients that contain water. Introducing water will lead to greater chances of spoilage. 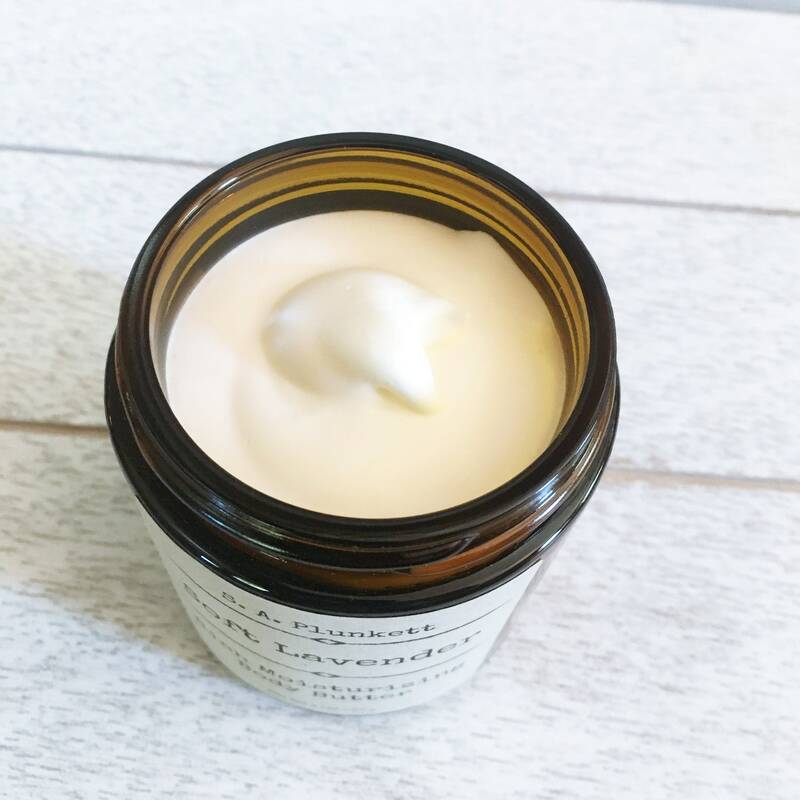 All natural body butters, facial creams and balms may liquefy or melt in hot weather (85 F degrees and above), this will not affect the quality of the ingredients, though texture may be affected once the product returns to a solid state. S. A. Plunkett Naturals is not responsible for product that melts once it is shipped. To avoid melting, please store in cool area away from direct sunlight. If melting does occur, move product to cool area or refrigerator until it has a chance to return to its solid/semisolid state. Sally did it again!! I reached out when I needed to place a last minute order and Sally got back to me quickly and at a crazy inconveniently early time in Portland. She checked everything and got my order out right away--it got to me with a day to spare! My skin gets really cracked in winter but one week with this body butter (I bought Lavender AND Cocoa) on my hand and it's practically back to normal. New winter-time staple for sure. The Coconut Rose sugar scrub smells great and also feels super luxurious. TLDR: I'm obsessed! Thanks Sally! This smells sooooo good! So far I’ve only used this on my hands and dry skin but it works great! Very hydrating! !